The T-80 is a Soviet main battle tank which was developed in the mid 1970s and was the first massively manufactured MBT in the world to be powered by a multi-fuel turbine engine. 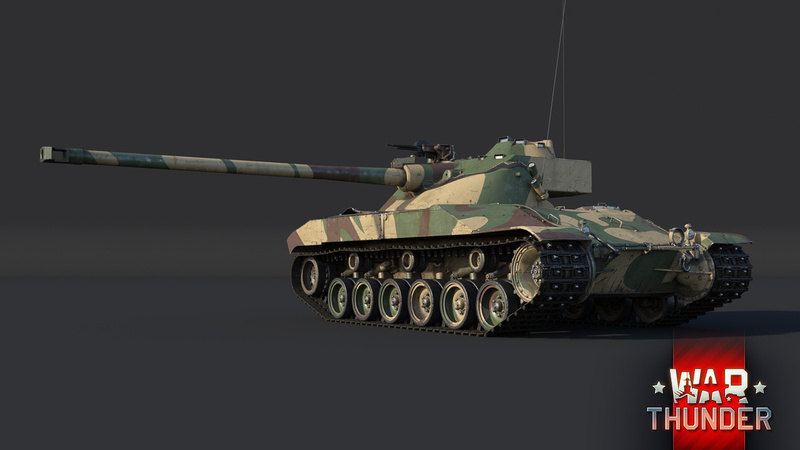 The T-80B will become available to experienced tankers at the top ranks of the Soviet ground forces tree with the release of update 1.81! Equipped with “Cobra” ATGMs and an additional 30 mm of armour plating in the front hull, the T-80B is a very fast and agile tank, with a 125 mm smoothbore cannon and composite armour. The T-80B sports two types of APFSDS shells, capable of penetrating over 470 mm of armour. It can additionally be armed with HE shells, HEAT shells, and anti-tank guided missiles. 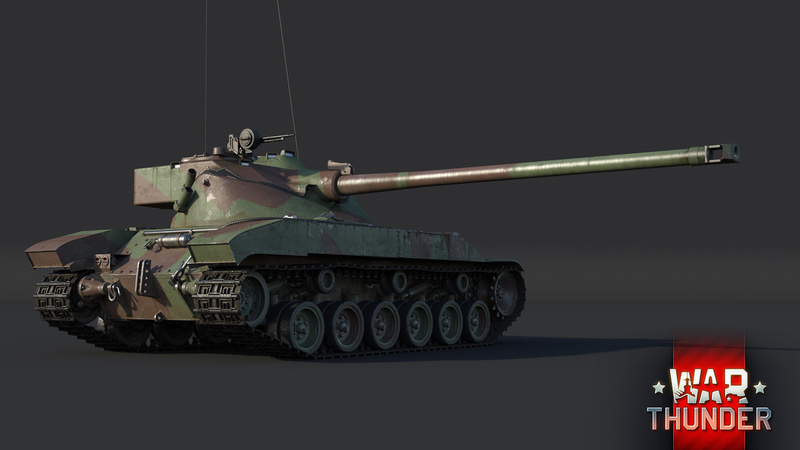 A decisive top-tier hero for high ranked battles, the T-80B rolls onto War Thunder’s battlefields with major update 1.81! 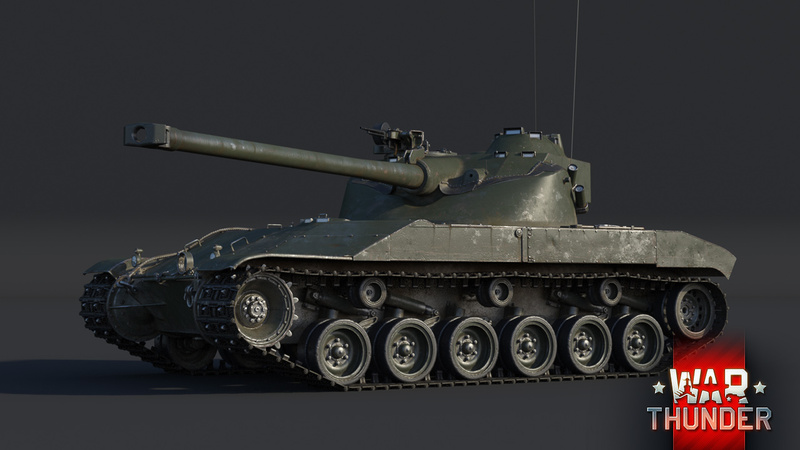 The first thing many tankers will correctly observe on the Char 25t is its increased size over the AMX-13. Although this engineering decision would increase the vehicle’s overall weight significantly, it did create more room in the hull, which allowed the crew count to be increased by one and the armour protection to be increased up to 50mm as well. Compensating for the heavier weight of the vehicle is a 500 horsepower engine, allowing the Char 25t to reach an excellent top speed of 65 km/h on paved roads, both forwards and in reverse! Getting to a good position early on in a random battle is certainly an advantage, but it’s arguably of no good use if you don’t have a good gun to make the most out of it. Fortunately, the Char 25t doesn’t disappoint in this aspect either. Being outfitted with a 90mm cannon, coupled with an autoloading mechanism, the Char 25t is more than well equipped to wreak havoc among the enemy, especially when operating at the flanks and engaging targets up to medium distances.